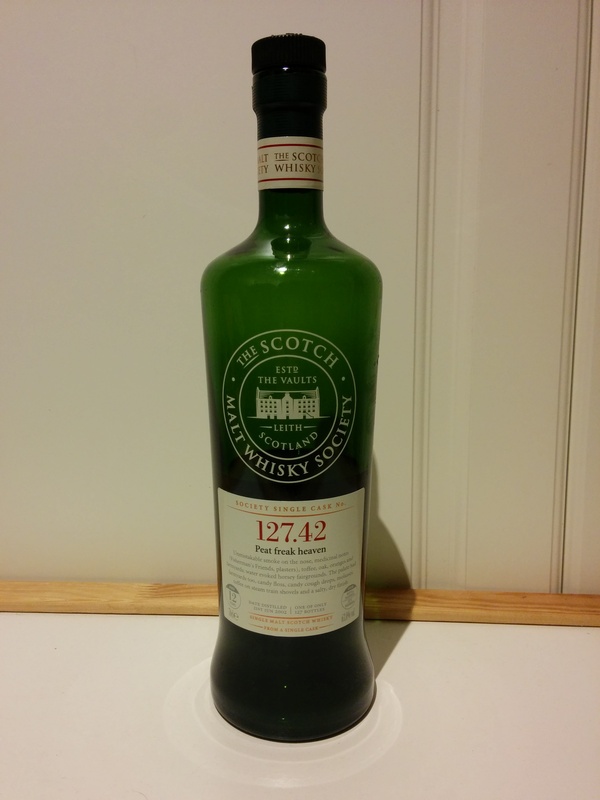 This is the second newest bottling of Port Charlotte by SMWS (127.43 is currently the newest) and one of the oldest bottlings of Port Charlotte at the moment. Port Charlotte is the heavily peated whisky produced by the Bruichladdich Distillery. This particular bottling was released just after SMWS started restricting sales of certain whiskies to phone orders at specific times of day. I suspect SMWS has implemented this new sales strategy to prevent people from hoarding whiskies with potential collectors value. Since the Port Charlotte distilling began in 2001, you won’t find much older than this right now. Heavy peat mixed with salt and fish oil. A bit of menthol. Herbal or medicinal. Sweet berries with sugar and cream. Like standing on the docks after the fishing boats have come in on stormy day with rough seas and oddly eating a bowl of berries and cream while watching the madness. Fun! A rush of peat and sweetness. Bit of menthol or mint in the background. Really sweet actually. Tastes like first fill bourbon sweetness. Charred oak. The sweetness is fruity but I am not sure what kind. Like berries. A bit of citrus. Medicinal and peat smoke. A bit bitter but in a good way. Long lasting. Definitely an interesting dram. Strong flavours. It’s got a funkiness to it that I enjoy but others may find it a bit too much.